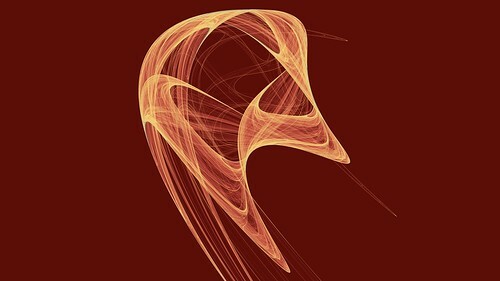 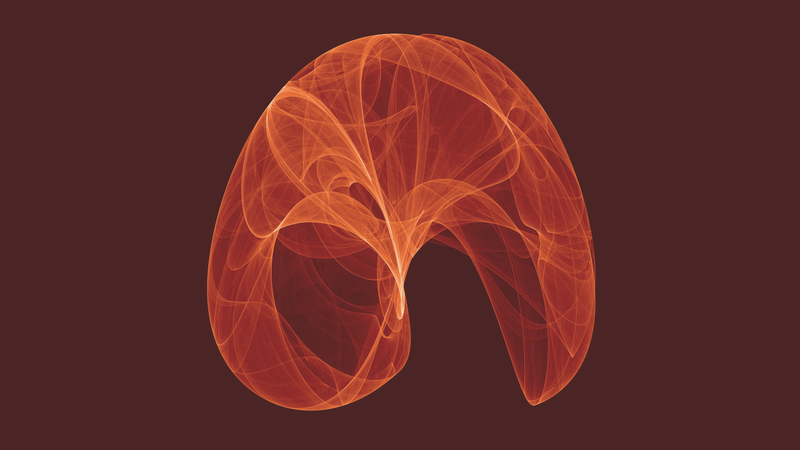 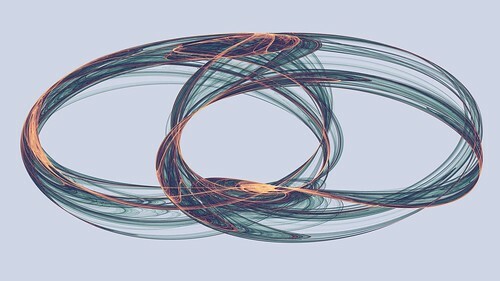 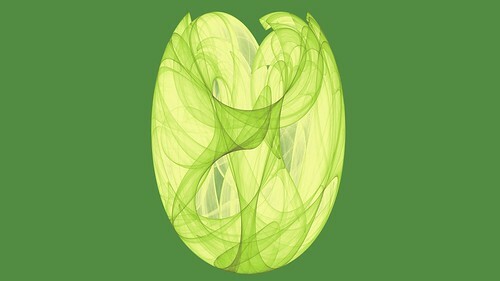 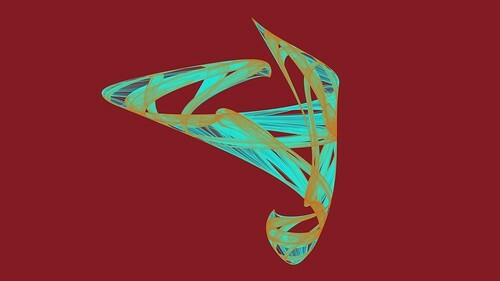 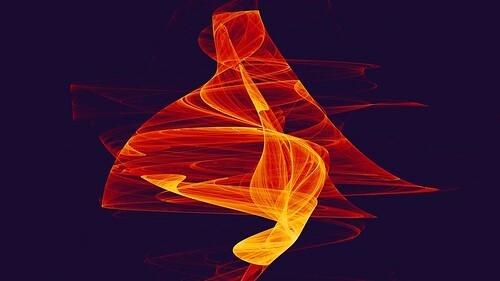 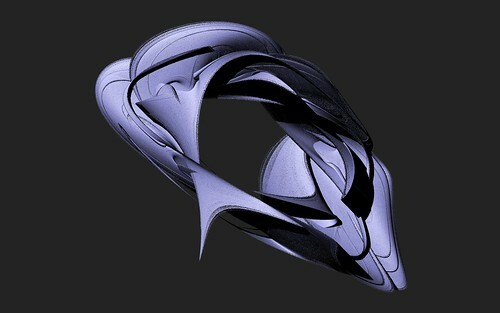 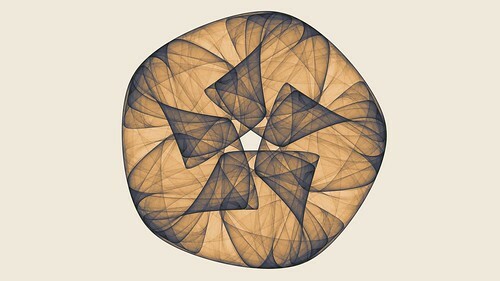 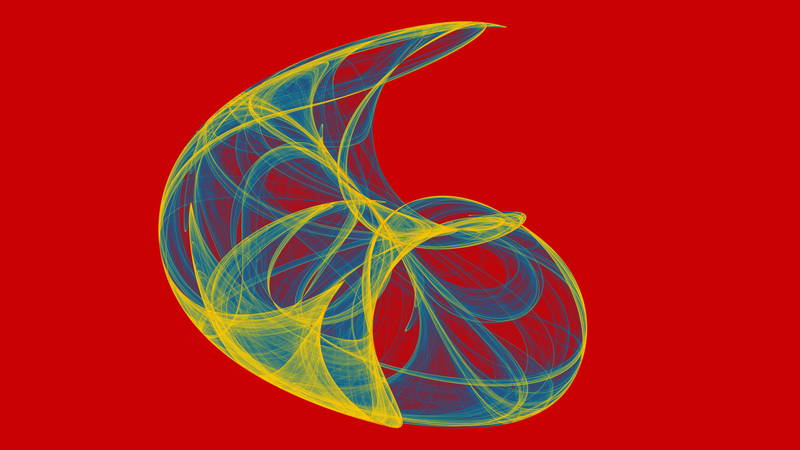 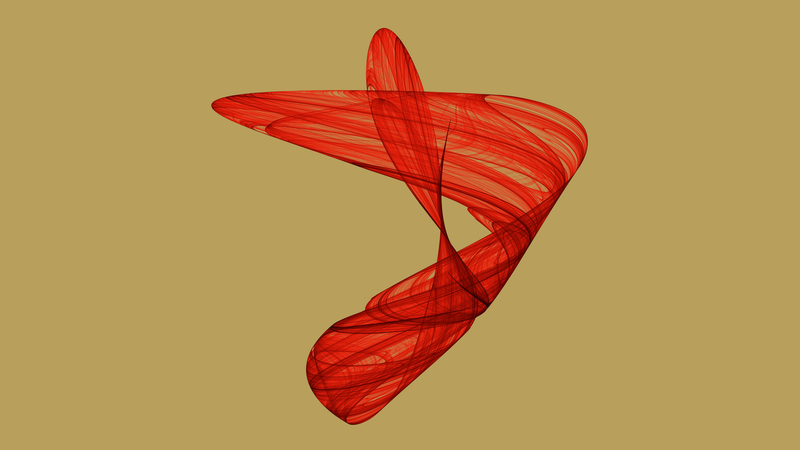 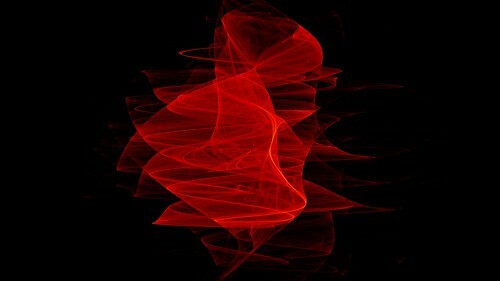 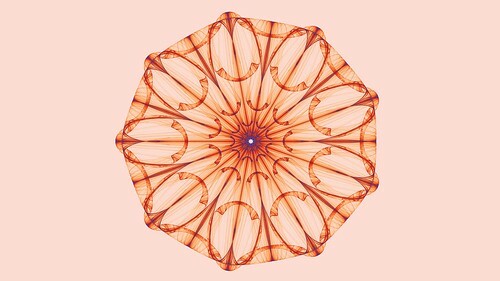 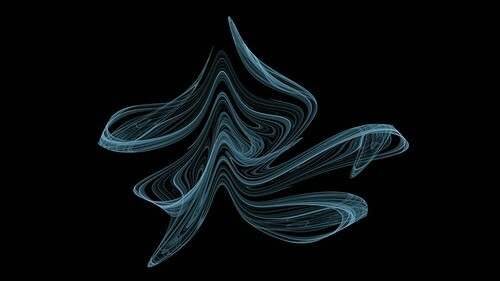 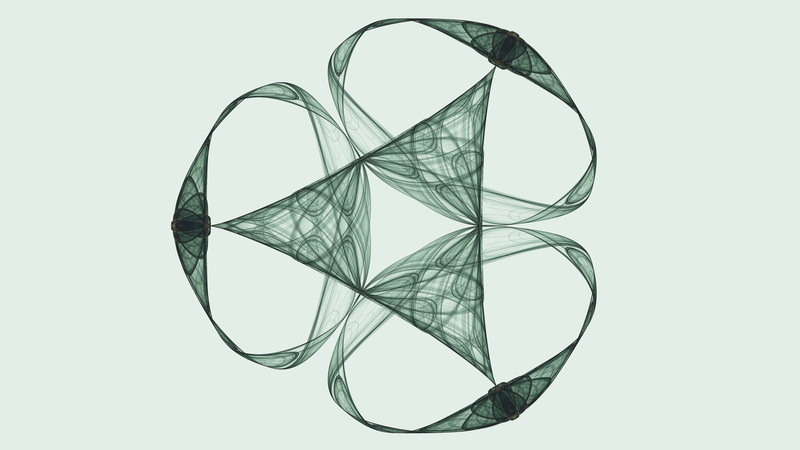 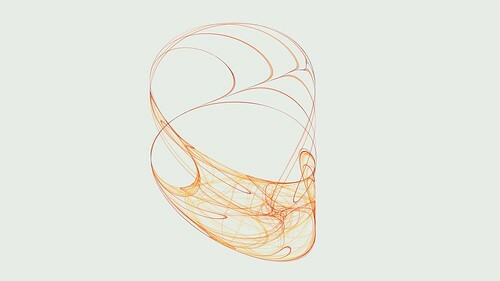 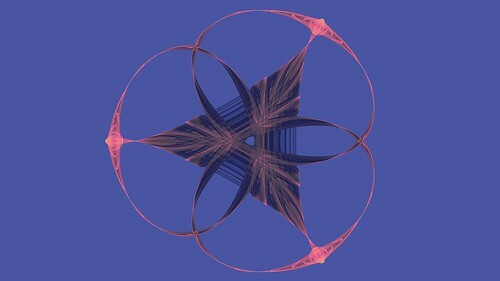 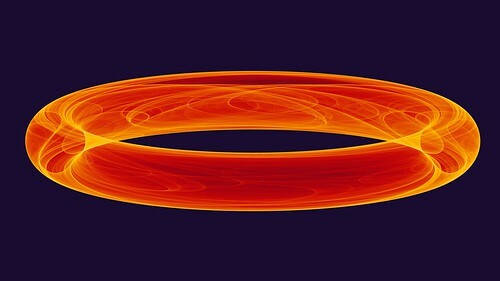 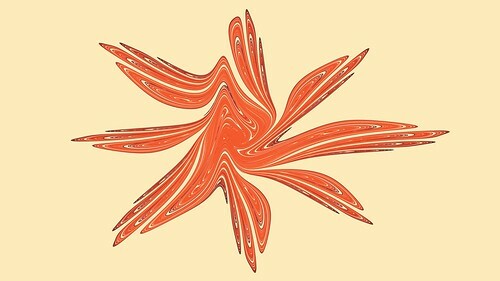 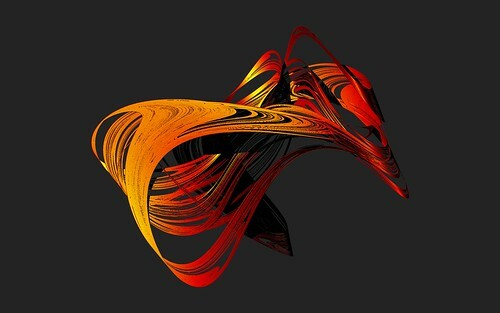 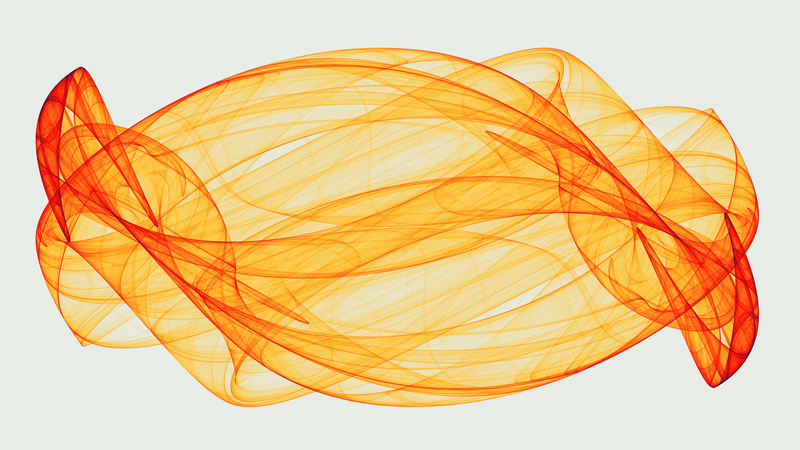 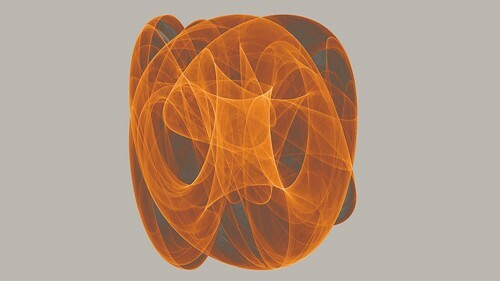 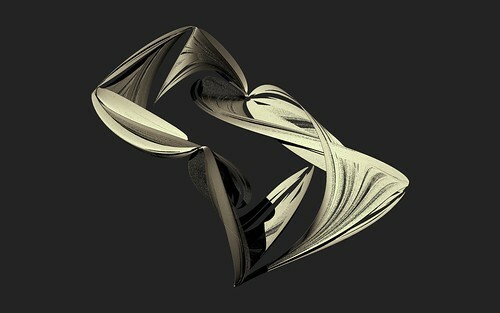 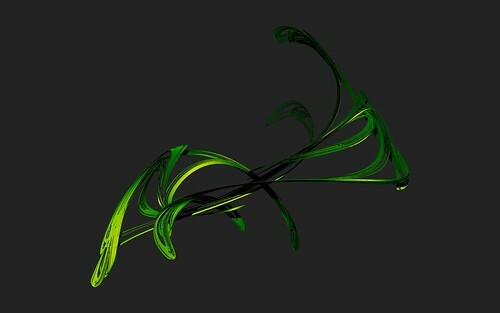 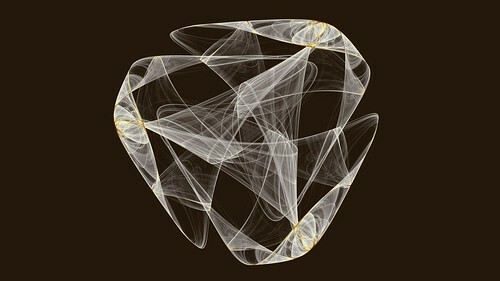 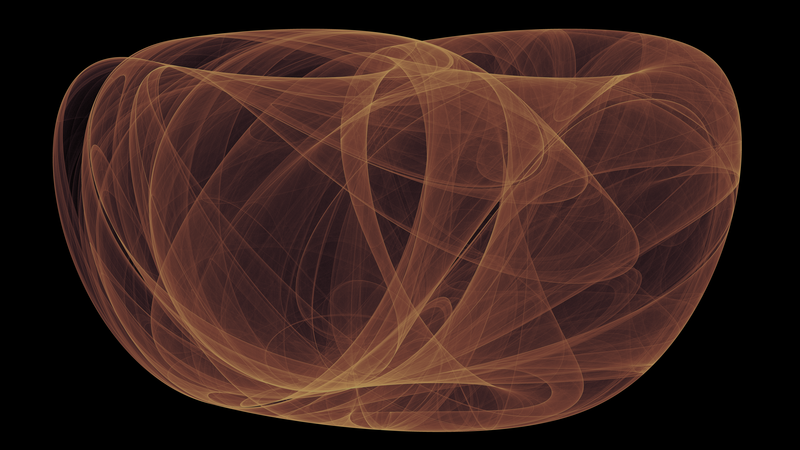 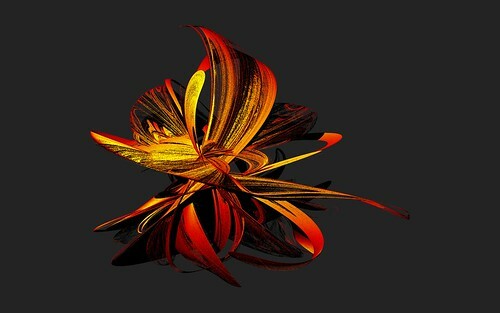 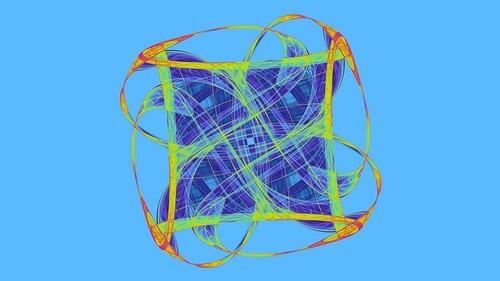 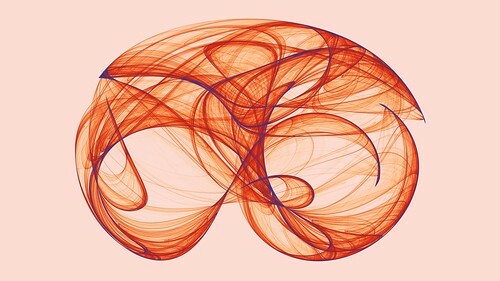 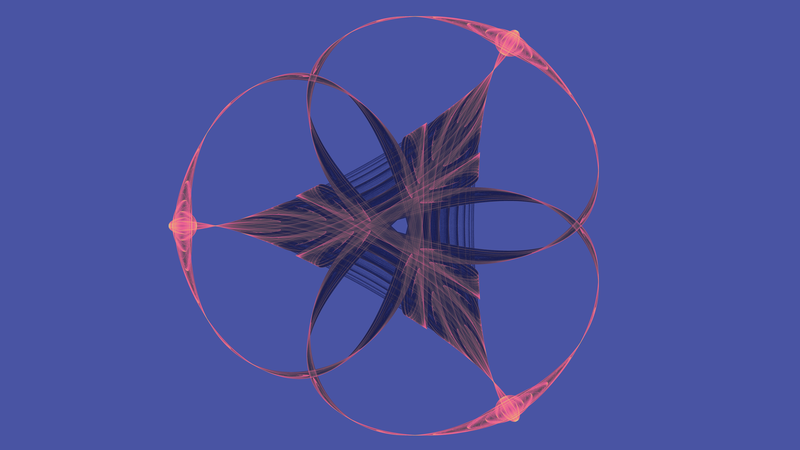 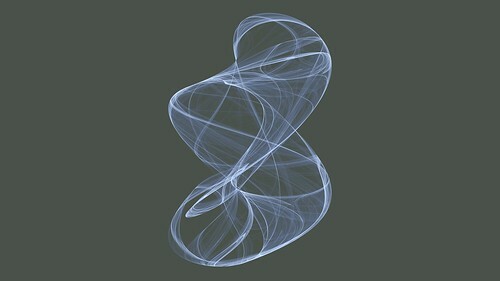 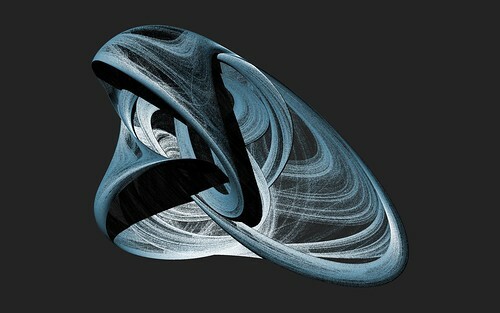 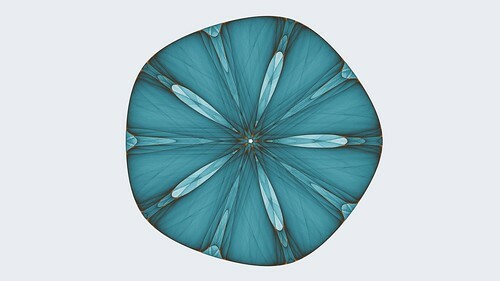 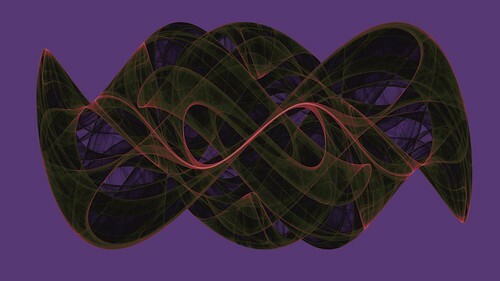 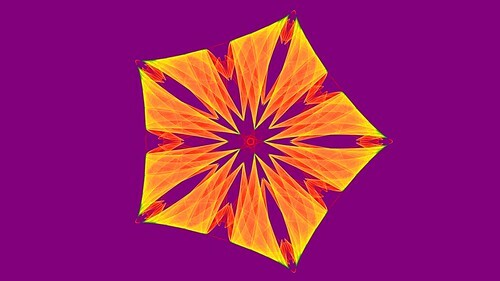 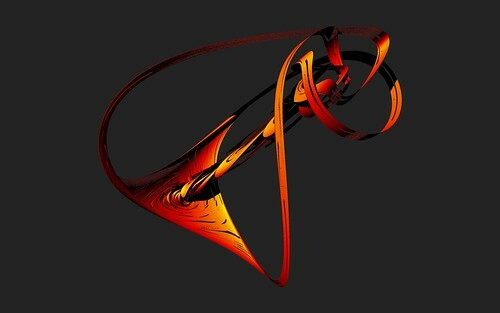 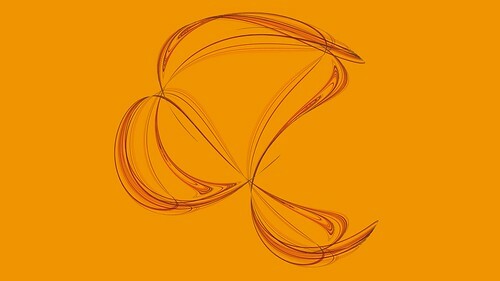 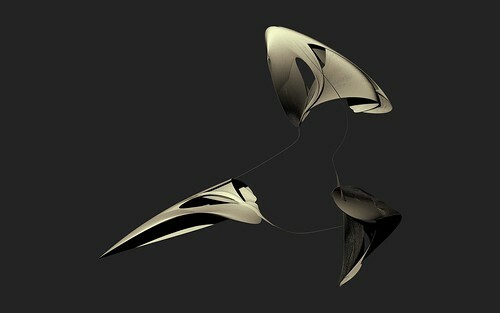 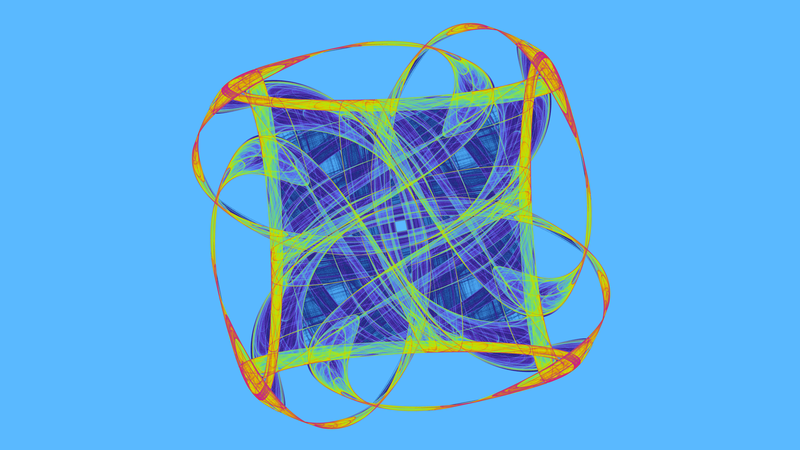 I have played with 3D strange attractors in the past (see here and here). 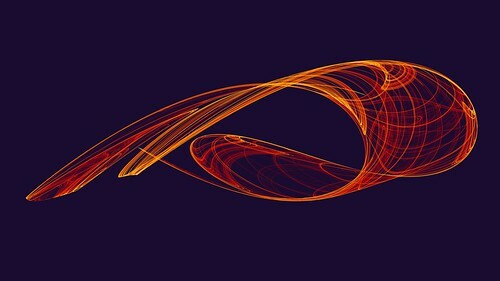 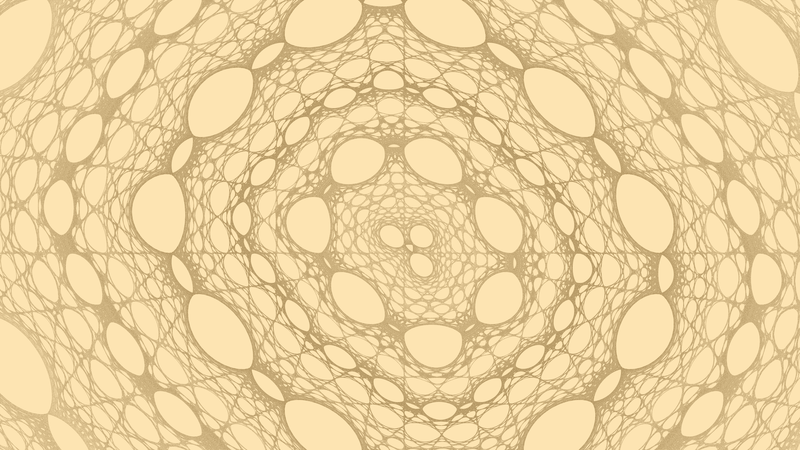 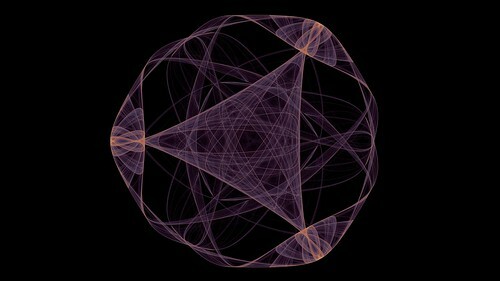 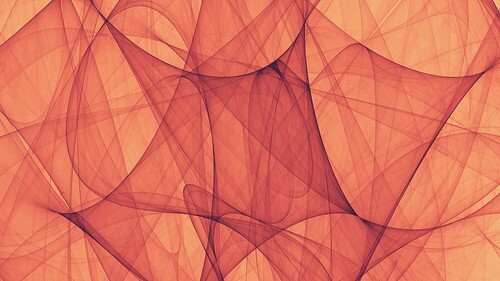 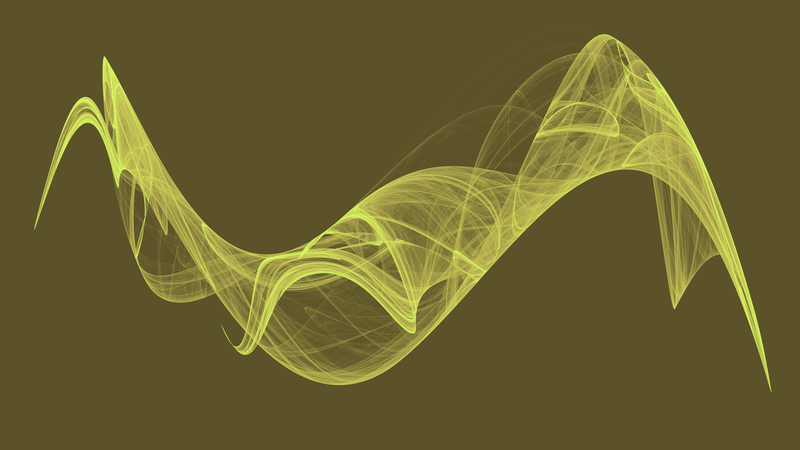 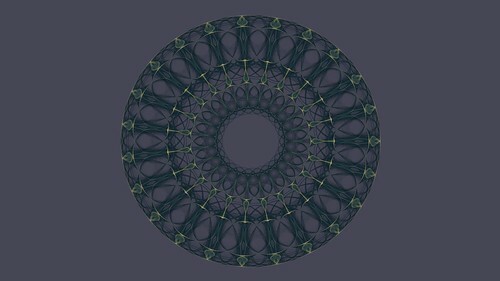 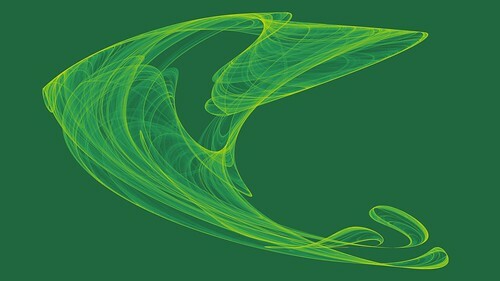 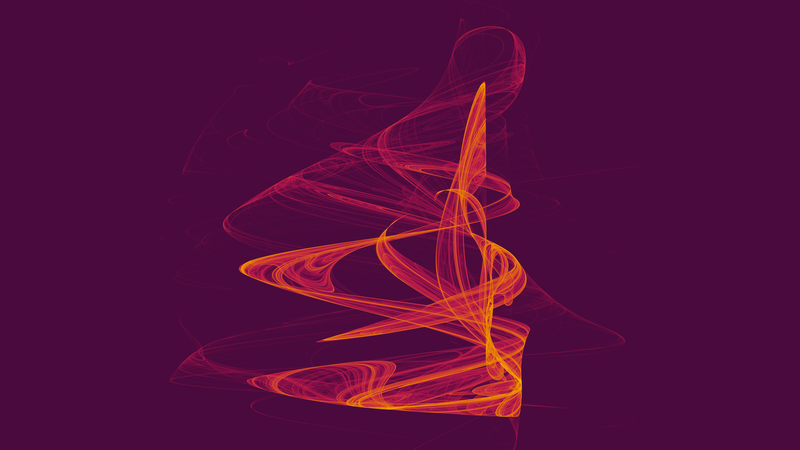 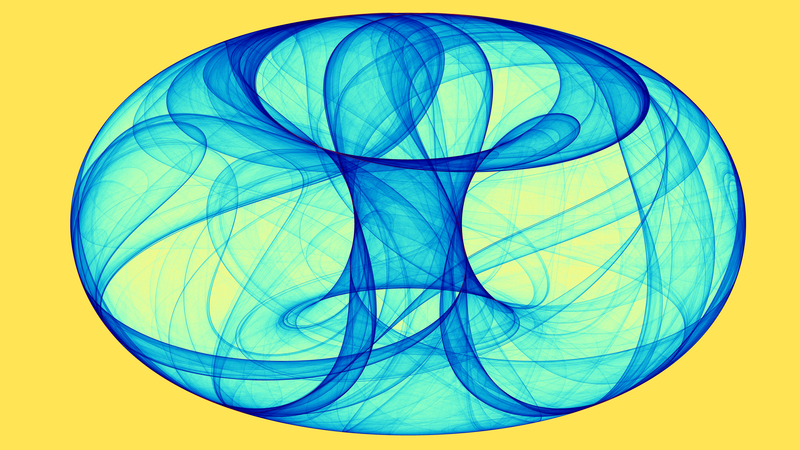 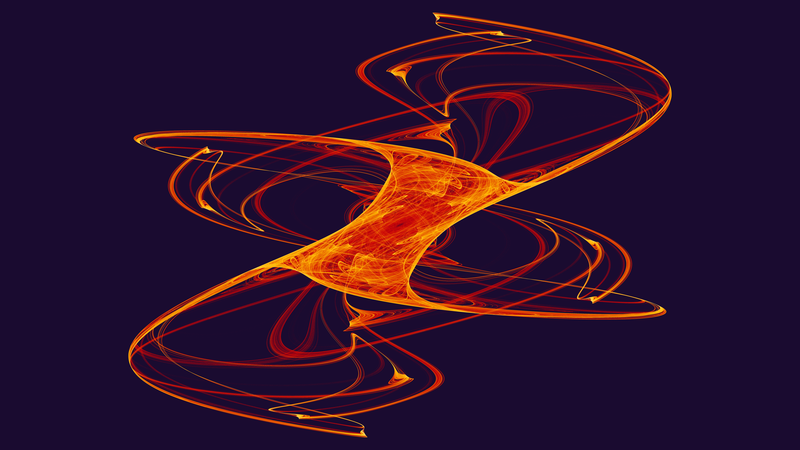 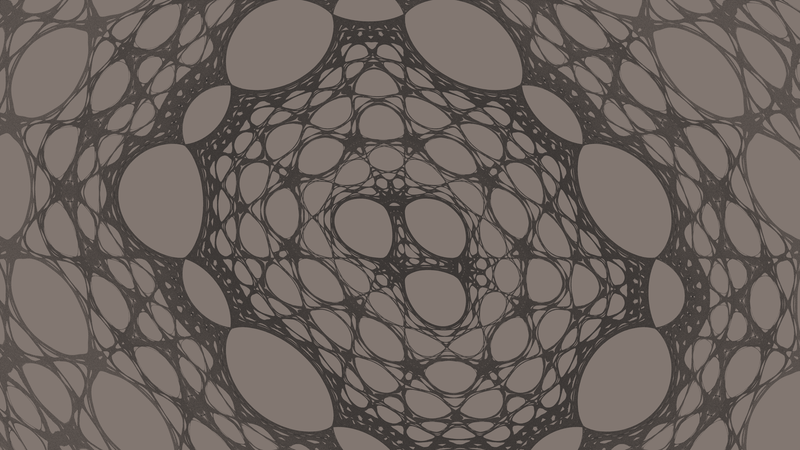 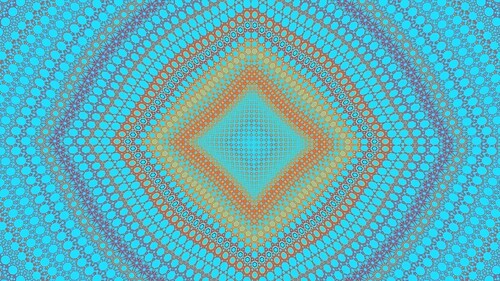 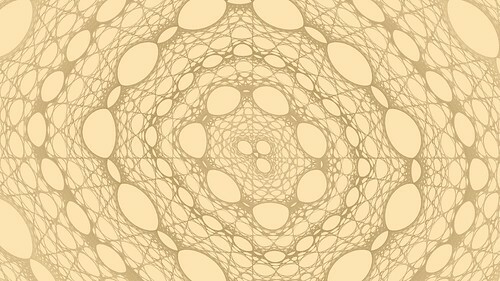 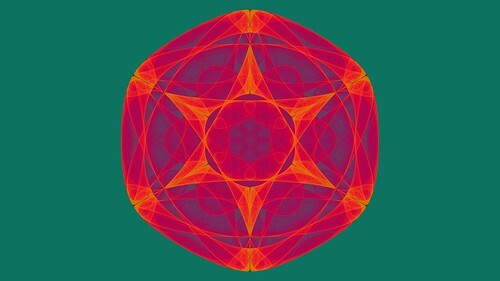 Those attractors were formed by plotting millions of points in 3D space. 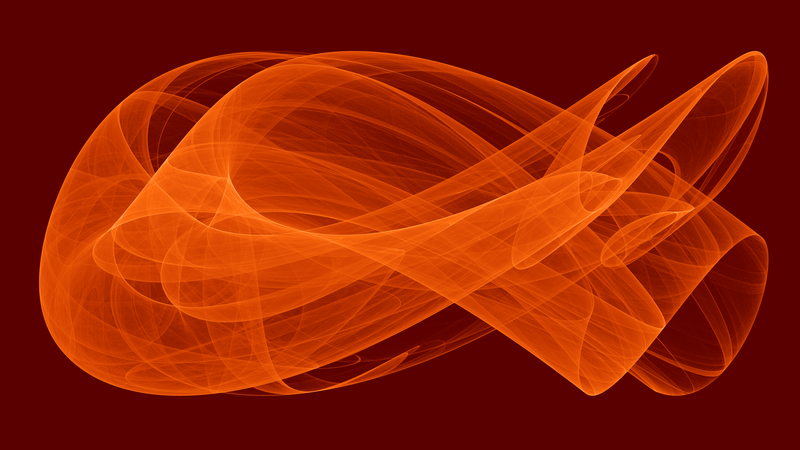 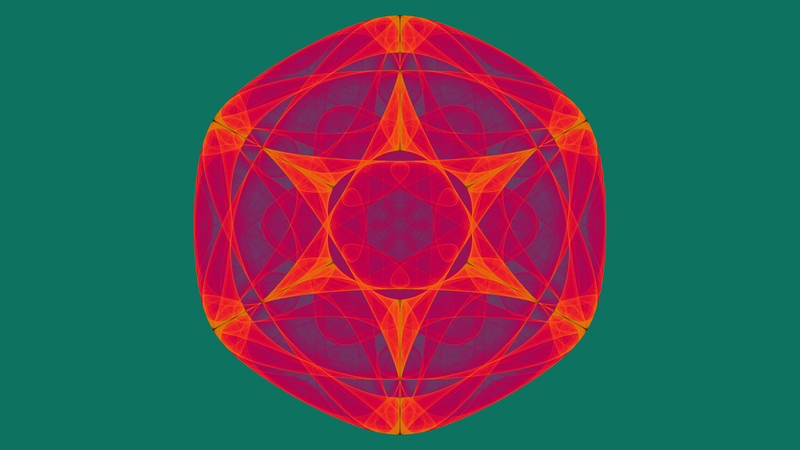 The points plotted will seem to jump around randomly at first, but after a few million or so points they do start to form the attractor shapes. 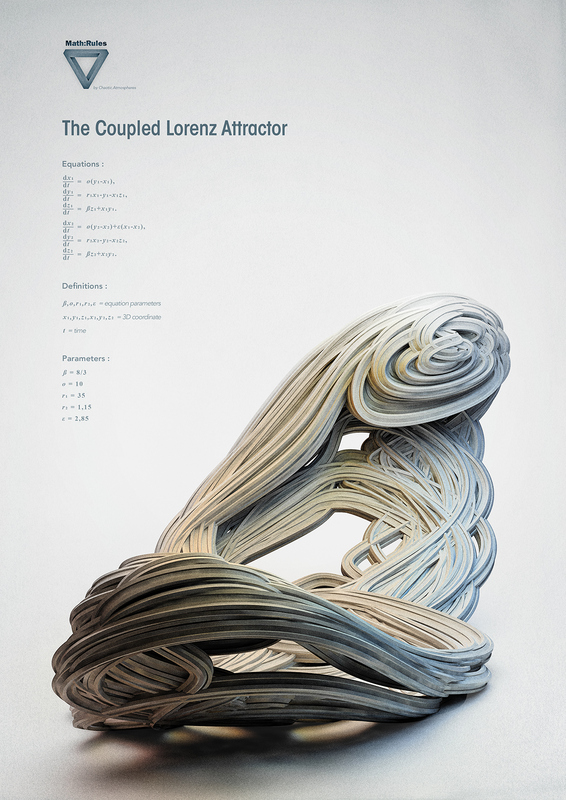 The attractors in this post are slightly different. 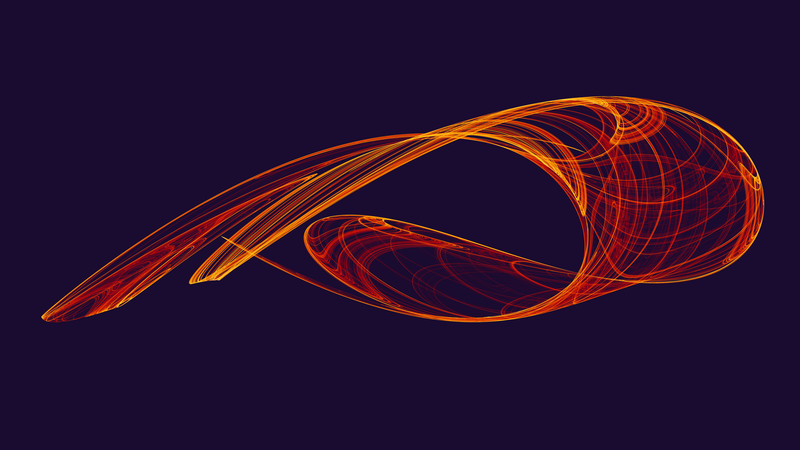 The attractor formula is still iterated in the same way, but in these attractors the points form a series of points along a curve. 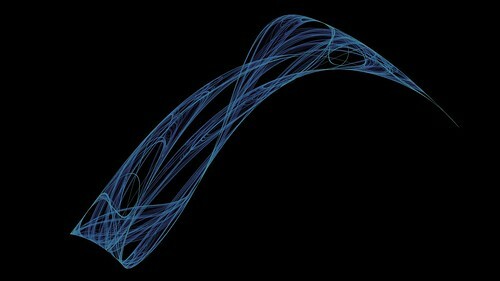 This curve can be plotted as a line in 3D space. I couldn’t find an official term difference between the attractors plotted by points vs the attractors plotted by lines. 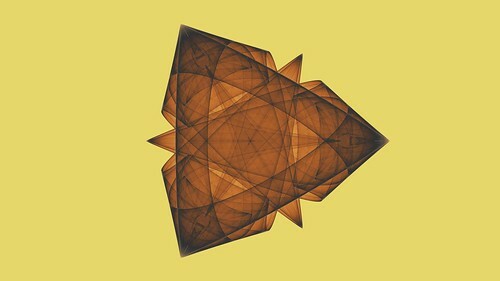 If there is one, let me know. 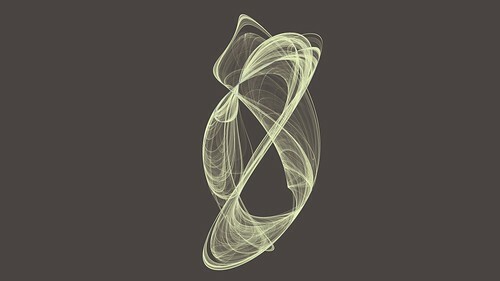 My journey into these attractors started by first seeing this web GLSL based plotter created by Mikael Hvidtfeldt Christensen. 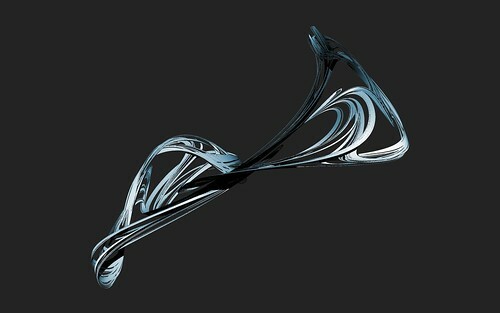 Mikael was inspired by these awesome renderings by Chaotic Atmospheres. Mikael also points to the home page of Jürgen Meier that contains a long list of attractor types and source code to create them. 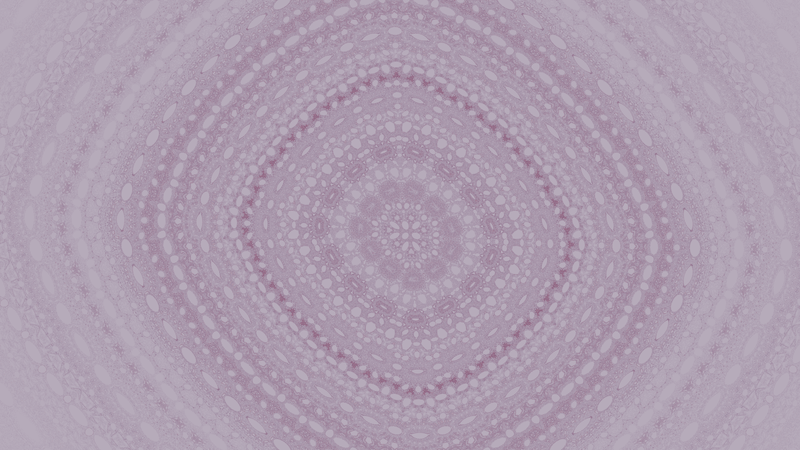 I had to have a go at adding these to Visions of Chaos as a new mode, so off I went. 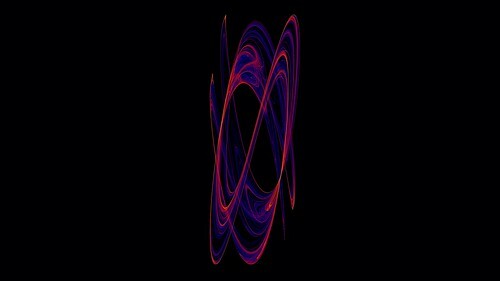 The attractor formulas involved are fairly simple and the source code for each type really helped me get the attractor math going quickly. 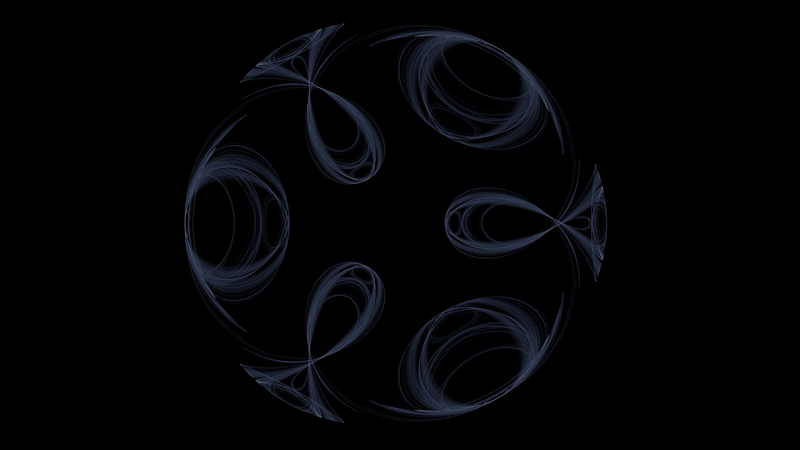 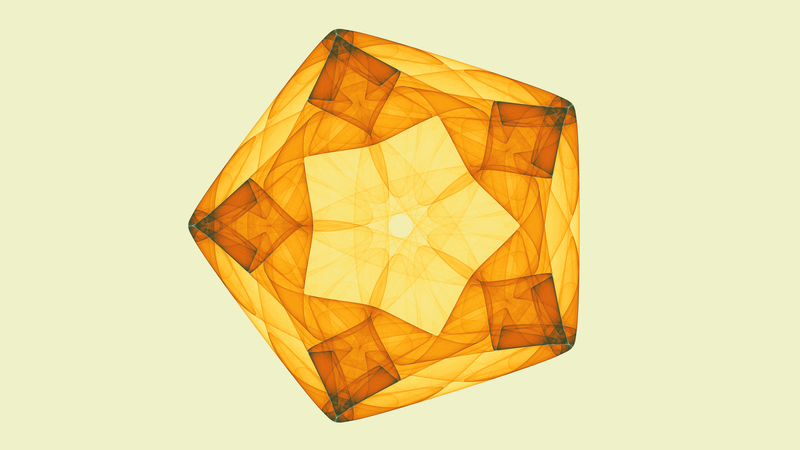 In the end I implemented 60 of the attractors on Jürgen’s page. 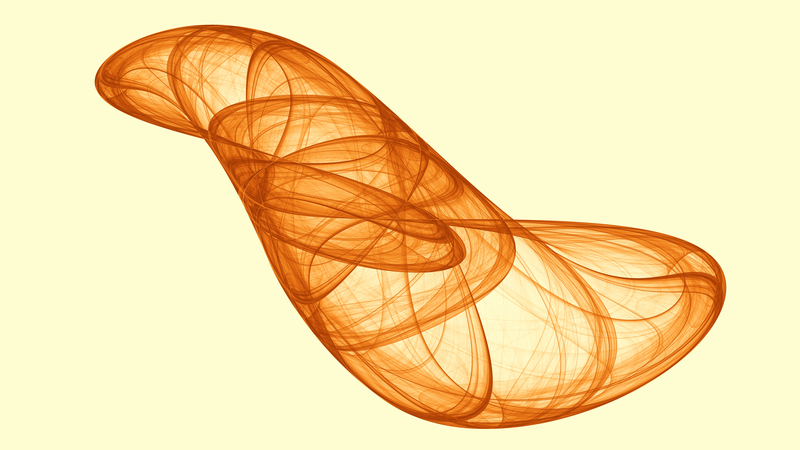 If you use one of the attractor formulas you will end up with a long list of points in 3D space that need to be displayed. 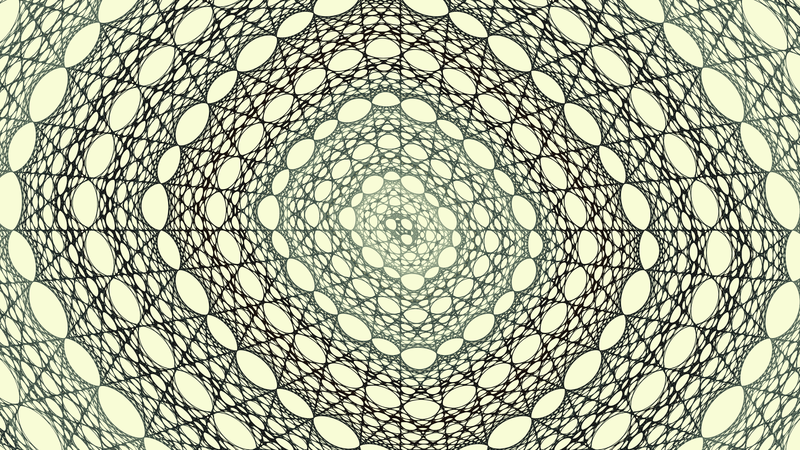 I used a series of OpenGL cylinders between the points. 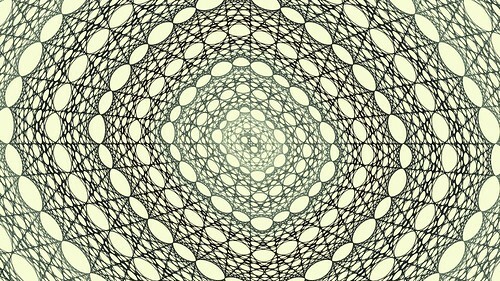 This is OK but really doesn’t work as you have breaks where the cylinders do not join each other correctly. I need to implement some code to extrude a circle or other shapes along a curve when I get some time, but unless you look very closely at the following movie you won’t notice the breaks. 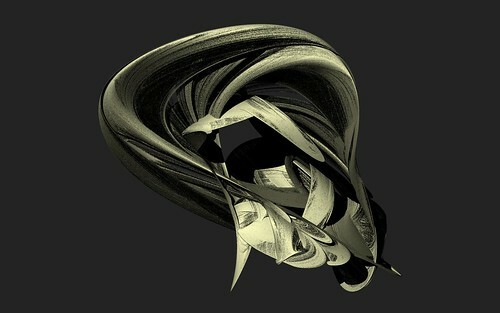 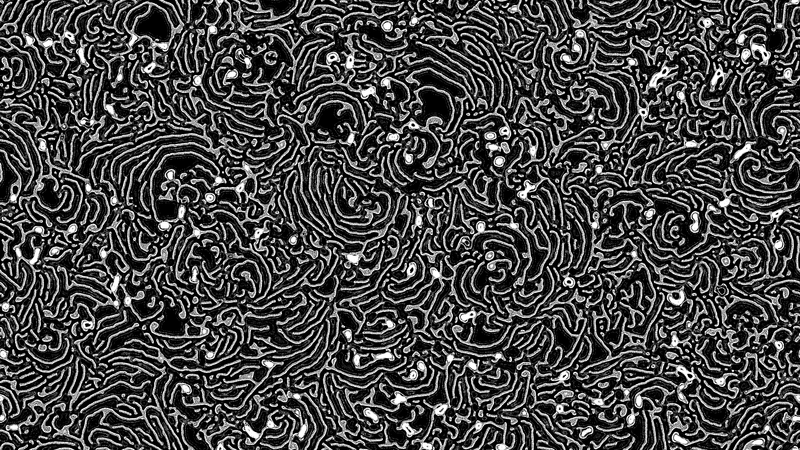 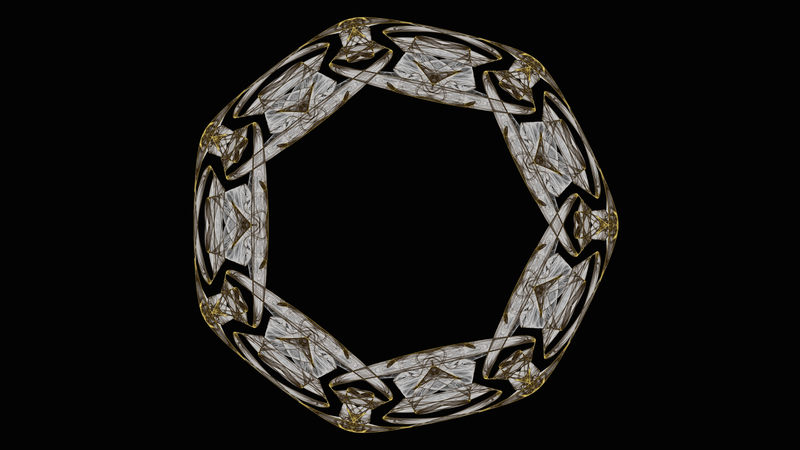 I have also added a 3D Strange Attractors album to my flickr gallery. 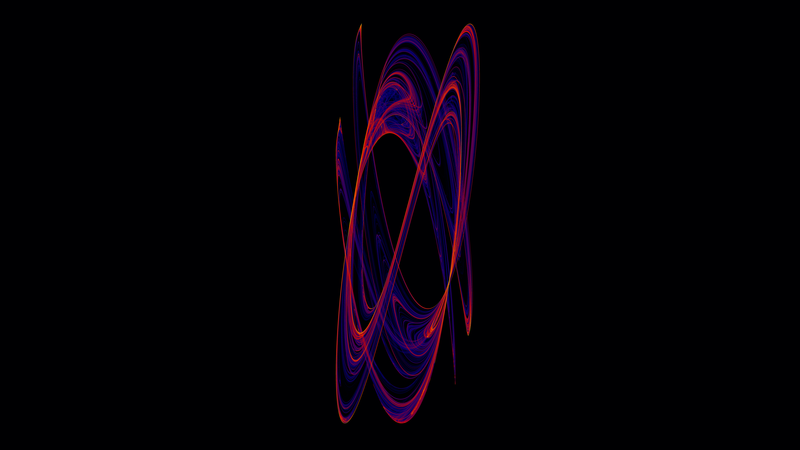 If you have a pair of the old anaglyph red and blue glasses you can also see some anaglyph images of the attractors in this gallery. If you work from Jürgen Meier’s excellent reference you may (or at least I did) notice some of the attractors do not plot the same as his. The cause of this is most likely (other than a typo in parameters) will be the delta value. 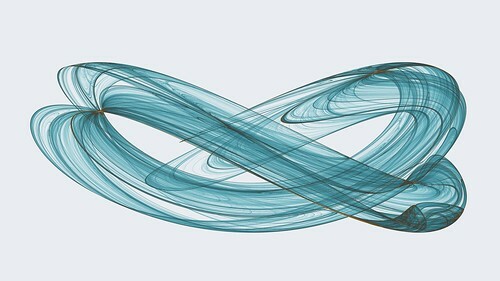 The delta is that “small amount” that each iteration of the attractor is multiplied by to stop it “blowing up” and having all the points escape to infinity. 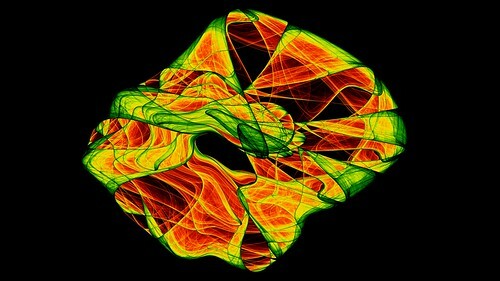 If you notice your plot exploding lower the delta by a factor of ten and try again. 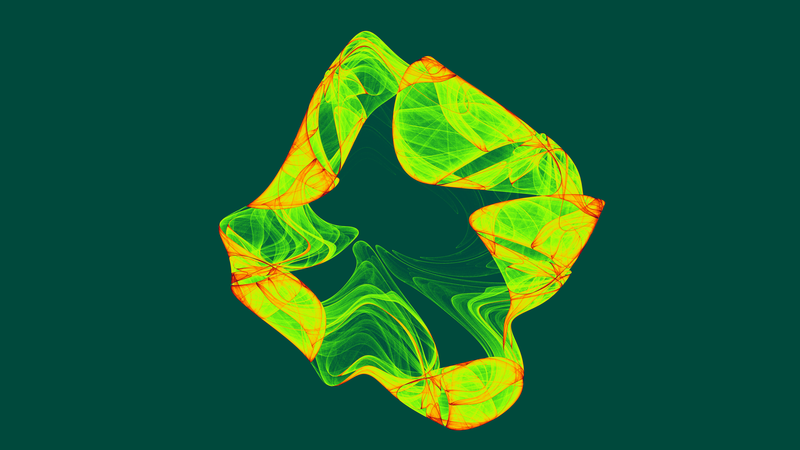 Similarly some delta values seem too small so the plot takes a long time. 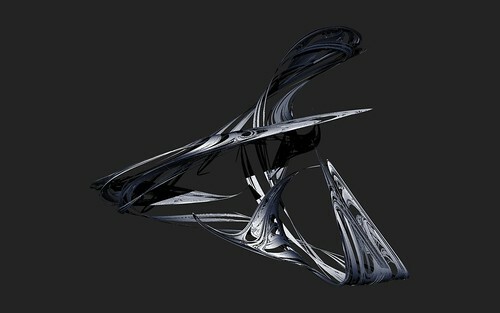 Increasing delta will speed up the plot. 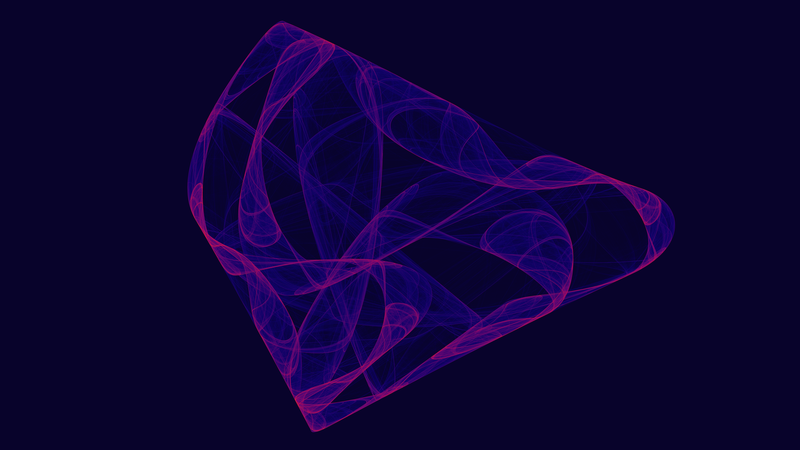 You just need to tweak the delta until you get that sweet spot between accuracy and speed. 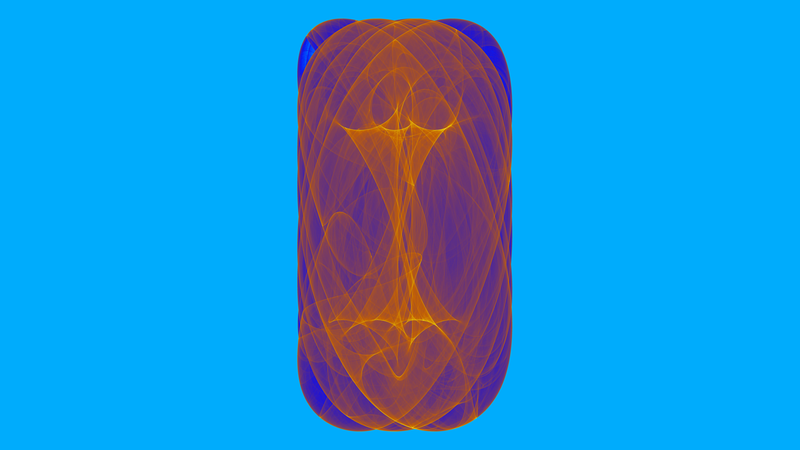 That little squiggly tail at the bottom is where the plot started and is not part of the attractor. Once you have the attractor points they will all tend to fall within different XYZ coordinate ranges. Scaling them all into a fixed range (in my case I used -0.5 to +0.5) allows them all to be centered on the screen when rendering and allows them to be easily shaded by converting XZY to RGB. 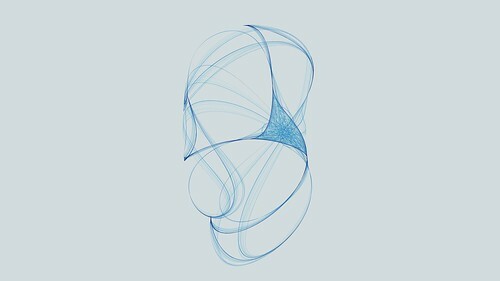 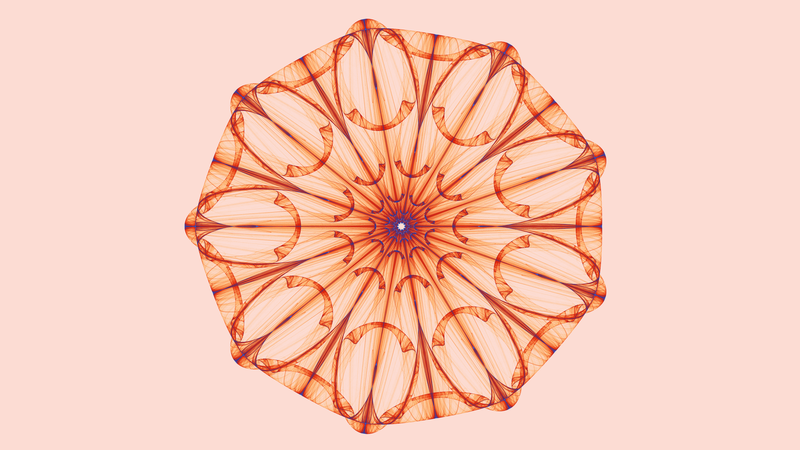 All it took was a bit of whiteboard scribbling and I had nicely centered attractors. 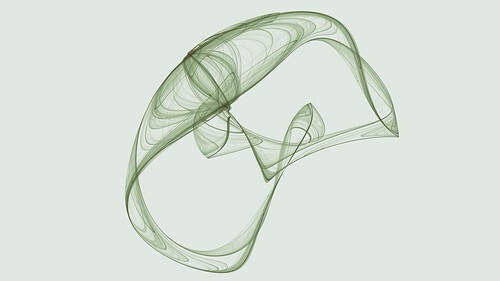 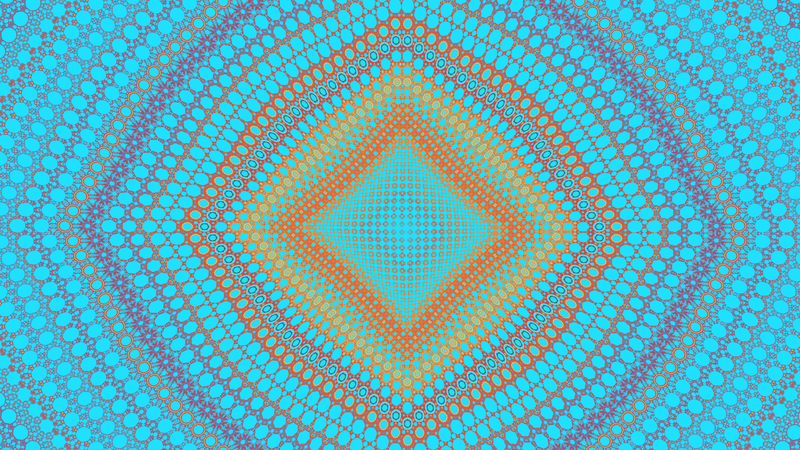 After the original new 3D Strange Attractor formulas I found here I have been playing with alternate formulas and came up with these 5 new types. 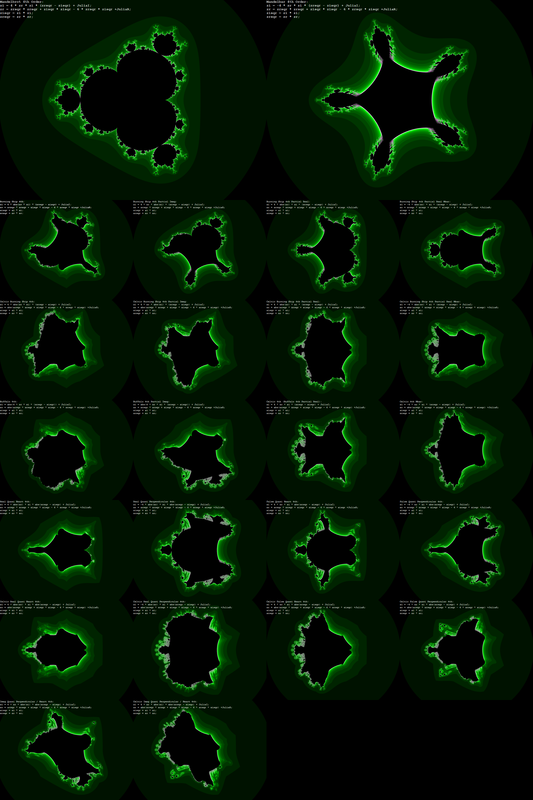 Here are the formulas used and some sample images of each type. 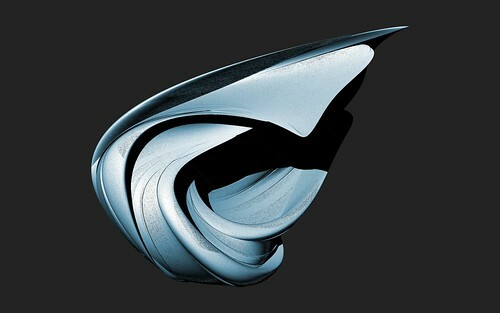 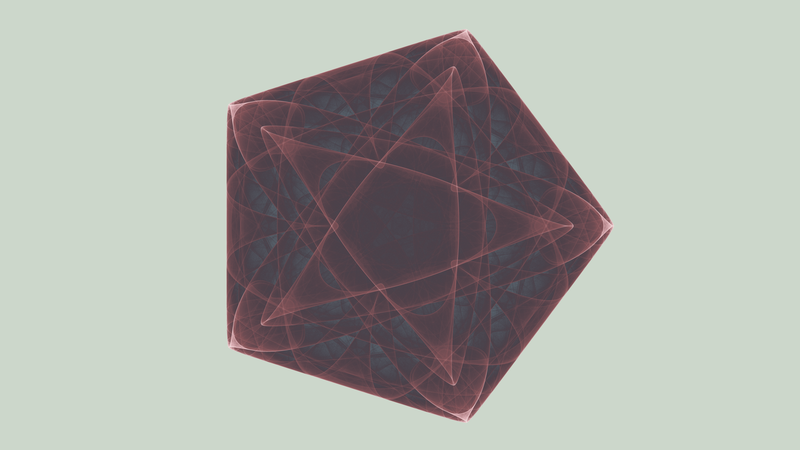 The a3da values are parameters between -1 and +1 that control the shapes. 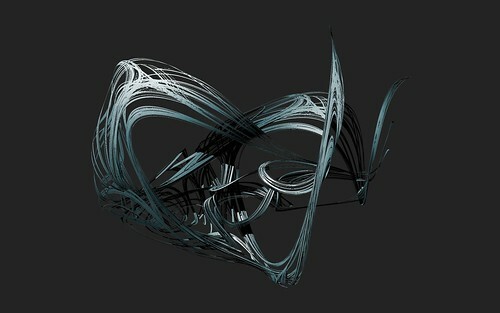 All of the above formulas are now implemented in the latest version of Visions Of Chaos. 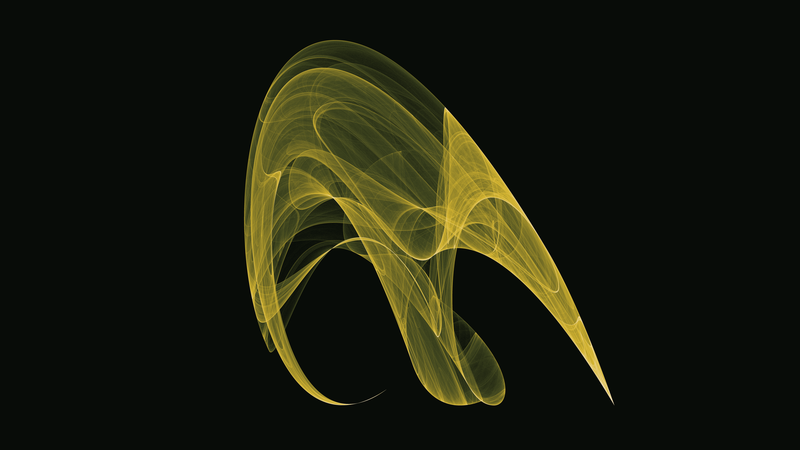 I have more ideas to expand new attractor formuals in future versions of Visions Of Chaos. Firstly is to get a decent formula compiler implented so the user can try formulas easily by typing in the 3 formulas for xnew, ynew and znew. 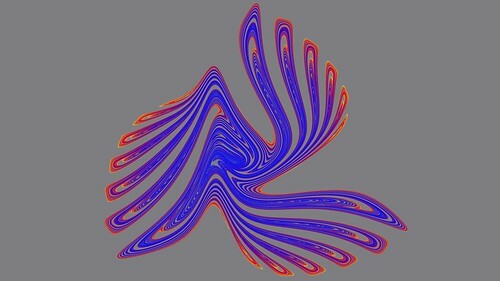 Once that works the next obvious evolution is to get it to genetically evolve and mutate the formulas like I have done for Genetic Art in the past. 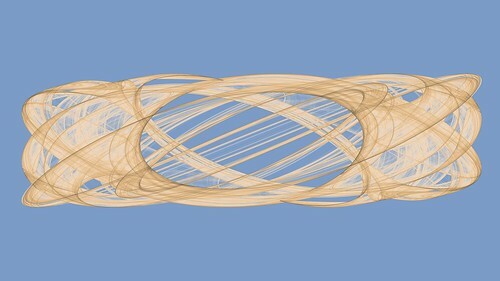 After some experimenting, I came up with the following 5 new formulas for generating 3D strange attractors. 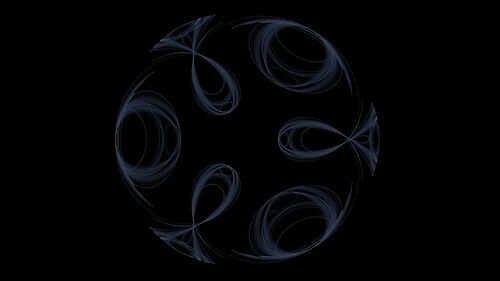 They all use SIN and COS like Cliff Pickover did when he was creating strange attractors. 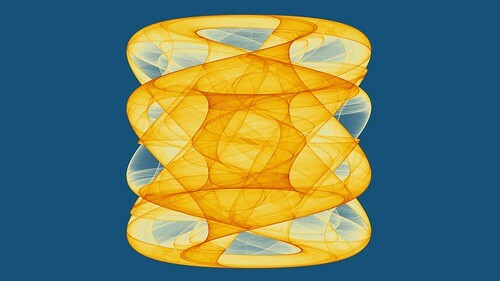 All of these formulas were found by trial and error of changing and trying new formulas. 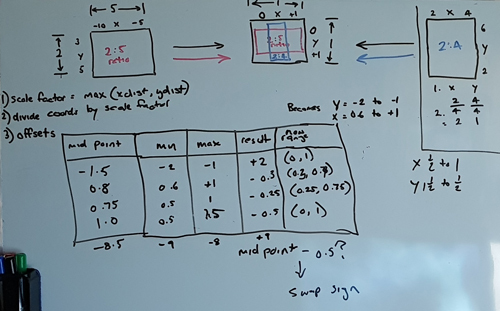 In the future it would be interesting to use a genetic/evolutionary system of randomizing formulas and trying to find interesting results automatically. The x,y and z variables are intialized to 0. 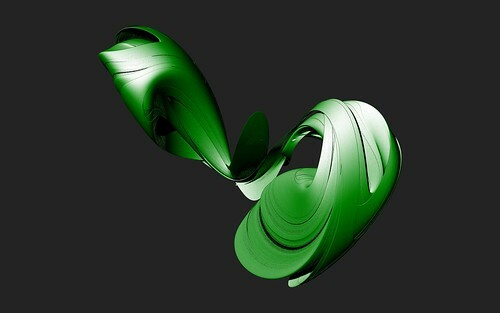 Newx, newy and newz are temporary variables to hold the new x,y and z values until the new point is calculated. The parameters in italics a to i are floating point values in the range of -1 to +1 that alter/control the resulting image. These sample images contain up to one billion plotted points to smooth them out. Each pixel is an average of a super sampled 3×3 grid to help remove aliasing (this is similar to rendering the image at 9 times the size and then downsizing it in an image processing application). 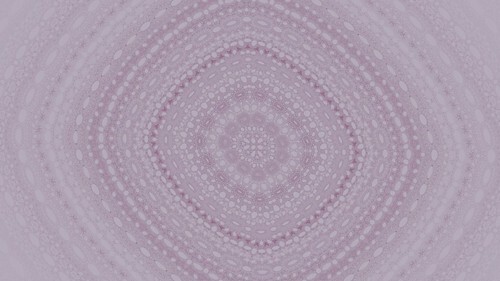 The first two samples of each formula are rendered using a z-buffer technique to give them a solid appearance. 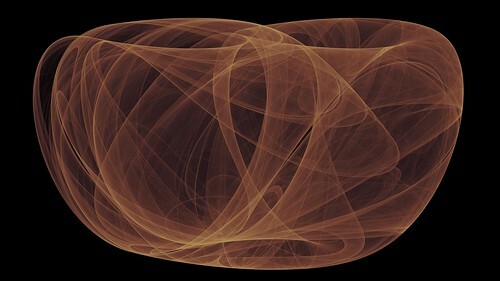 The third sample of each formula is rendered using an accumulation buffer that shades the pixels based on the number of times each pixel is hit which allows you to see the internal structure of the attractor. 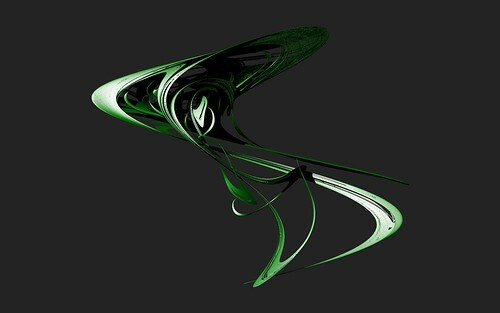 All of the above images were created using Visions Of Chaos.